Choosing a stroller for your new baby requires a great deal of thought and research, given the plethora of options on the market. From the uber expensive trendy strollers to the practical, less pricey prams, there’s a wide gamut of possibilities when it comes to wheeling your bundle of joy around town. The upcoming Origami stroller by 4moms is the first in its class however. This futuristic stroller is packed with mom inspired, innovative perks; and designed to make a parent’s life easier by folding itself compactly with the simple touch of a button. Combining the features of a full size stroller with the portability of its compact counterparts, the Origami Stroller offers forward thinking functionality to the day to day schlepping all new parents know too well. What exhausted new parent wouldn’t welcome a little help from a stroller that wants to fold up on its own? Its built in generator, which enables the power folding feature at the touch of a button, recharges itself every 300 feet, meaning, a quick 300 foot stroll is all it takes to provide enough juice for one open and close cycle. Check out the video below to watch the Origami in action. Since a stroller’s weight should be a primary concern for moms, (who will be lugging it in and out of the car trunk, and maneuvering it up stairs, sometimes one-handed! ), Origami fans will be happy to know that it weighs only 22 pounds. In addition to its pusher generated eco-friendly power source, over 90% of the Origami’s parts are recyclable. 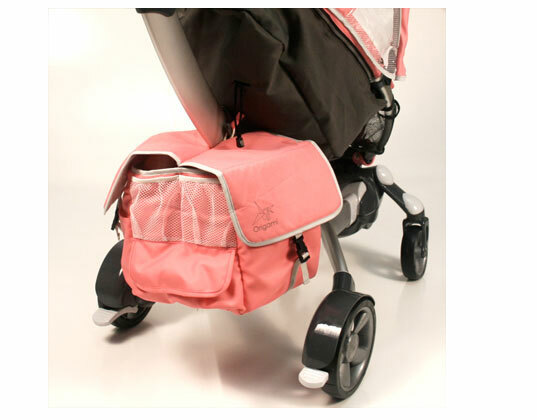 Other selling points for the Origami stroller include an LCD display with a built in pedometer, a speedometer, temperature gauge, and daytime running lights, among others. Most importantly, it is equipped with sensors which disable the folding mechanism when a child is sensed in the seat. With a price tag of $650, the Origami lands on the more, but not quite most expensive option on the high end stroller spectrum. Those lazy Orbit and Bugaboo strollers best beware, here’s a buggy willing to work for its keep. I really want this stroller I wonder how soon in Oct. it will be out? I fell in love with this stroller from pics and now that I've seen live footage on you tube I can't wait to purchase one. I am due in februar. So i'm hoping this stroller is on the market by summer 2010. Choosing a stroller for your new baby requires a great deal of thought and research, given the plethora of options on the market. From the uber expensive trendy strollers to the practical, less pricey prams, there's a wide gamut of possibilities when it comes to wheeling your bundle of joy around town. 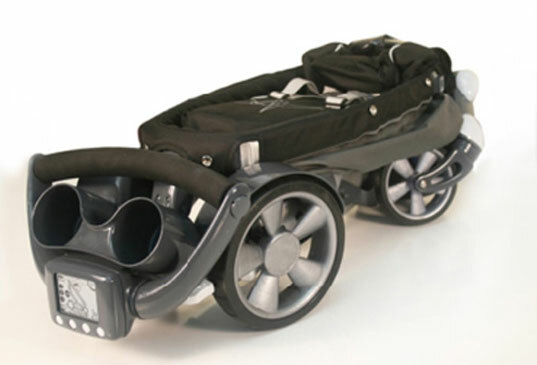 The upcoming Origami stroller by 4moms is the first in its class however. This futuristic stroller is packed with mom inspired, innovative perks; and designed to make a parent's life easier by folding itself compactly with the simple touch of a button.